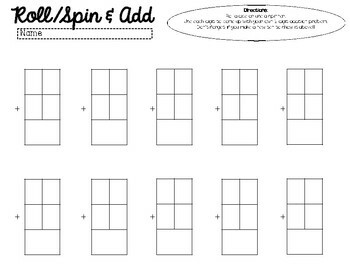 2 Digit Roll or Spin Addition & Subtraction! 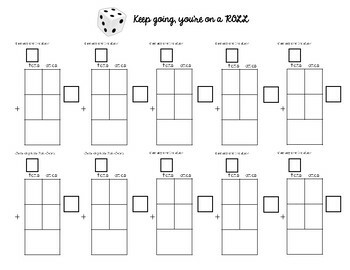 This was made for my classroom, so I'm sharing for FREE! My students have all been taught various algorithms for 2 digit addition and most show the new ten above, which is why some of the pages have boxes for that method. I do have a page for students not using that method included as well. 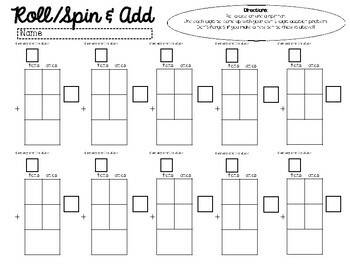 This can be printed and copied to be turned in (hence spot for a name) or you can laminate or place into dry erase pocket and easily turn it into a no hassle hands on math station.